If you or your client suffer from constipation, bloating, gassiness, heart burn, indigestion, diarrhea or Crohn’s disease, you may be in a tailspin that could crash your health. 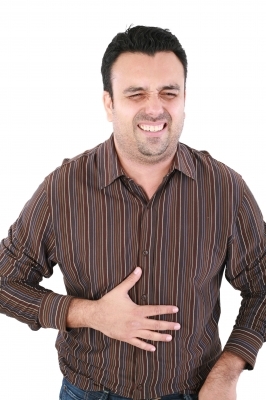 Disruptions and abnormalities in your digestive tract can be symptoms of an unhealthy gut. While pharmaceuticals may help alleviate the symptoms, many of them have undesirable side effects that could further harm your health. Being proactive about your digestive health can reverse these symptoms and put you on the road to recovery. One of the characteristics of poor digestive health is a digestive wall lining that becomes porous and permeable, allowing toxic waste, undigested food, bacteria, viruses and other harmful substances to enter your blood stream. In response, your immune system goes on high alert, sending microphages into your system to wage war with the intruders and causing inflammation. Inflammation is associated with metabolic syndrome, a cluster of disorders that includes diabetes, hypertension, obesity and heart disease. At the heart of a permeable digestive wall, sometimes referred to as “Leaky Gut Syndrome,” is the destruction or reduction of healthy bacterial flora that aid in digestion and absorption of nutrients. Flora can be destroyed by unhealthy food choices, including chemical-laden processed foods, animal protein that has been contaminated with antibiotics, and insufficient raw produce in your diet. Failure to chew your food sufficiently before swallowing can prolong the time it sits in your gut, adding to your digestive woes. Prescription medications like antibiotics and numerous others can wreak havoc with your digestive health. You can easily reverse the symptoms of an unhealthy gut by making dietary lifestyle changes. Eliminate sugar, grains and processed foods from your diet and switch to a whole-food based dietary regimen. Include fresh organic vegetables, organic grass-fed meat, organic animal products, and wild-caught fish. Eat organic fruits and nuts in moderation. Stay away from harmful chemicals like artificial sweeteners. Supplement with a probiotic, or eat fermented food like sauerkraut, kimchi, kombucha, plain yogurt and pickled vegetables to boost healthy gut bacteria. Eat slowly and chew your food thoroughly before swallowing to promote better digestion. Nutrition knowledge is fundamental to good health, physical performance and weight management. Yet much of the information we hear about nutrition can be misleading and confusing. W.I.T.S. offers nutrition courses that can lay the foundation for your healthy lifestyle journey. Enroll in our Nutrition Bundle Special to enhance your knowledge and understanding of this important topic. Previous post: Four Healthy Heart Strategies to Begin Now! Next post: Eggs Are the New Superfood: No Yolking!